It was too many years ago when thousands of players opened immense world of the World of Warcraft for the first time. Creation of a new character is not a problem for them now. But very often old-timers forget how difficult it could be to find your sea legs at the first days in the game, to understand what to do, where to go, where to find a necessary item and many other things. And today we are going to give some tips for newbies of WoW who start playing at our uwow.biz project and not only, about what to do in World of Warcraft, what you should look out for and about what can help you during playing. It’s worth noting that this article won’t be a concrete leveling guide. There will be some general advice which will be useful for any race. superficial acquaintance with the World of Warcraft happens. But where to go next, when you done with this location? How to orient oneself and choose a proper location for further leveling? To get information about locations it will be enough to install Mapster addon. It is, perhaps, the most useful addon for the beginners. 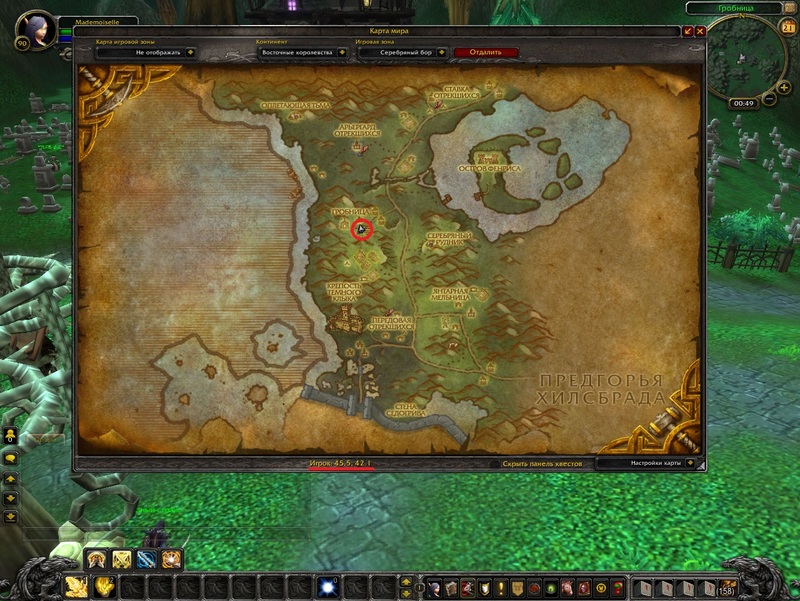 With the help of this addon you may know not only which levels this location will suit but also the coordinates of a character. Also, you may check the size of a territory without exploring it. To do it, you need to go to the addon settings and tick at the line «Clear fog» (To do this, press Esc, then Interface – Modifications – and in the list of addons choose Mapster). Making the first steps, every player faces with completing the quests. However, having received a quest, players not always understand where to go. 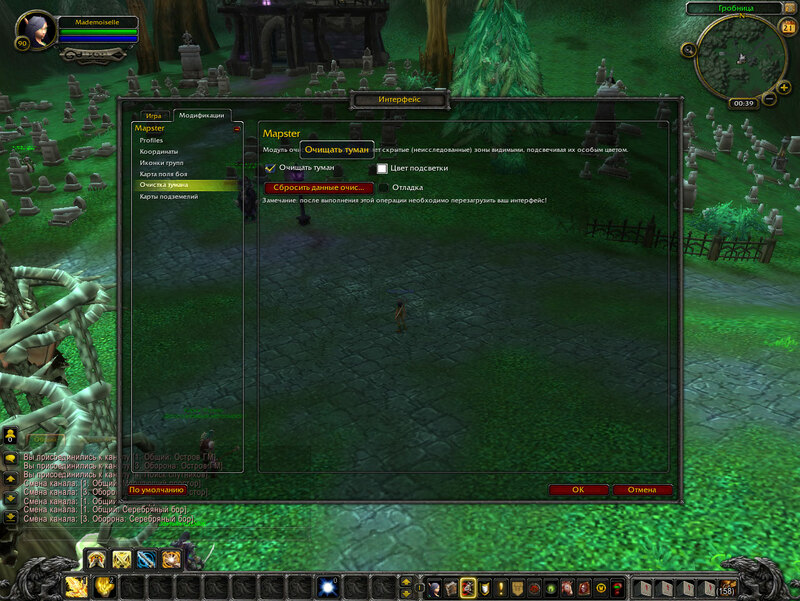 In doing the quests, the addon QuestHelper may help. This modification measures the distance till the necessary place and show the direction with the colored arrow. If you have several quests, QuestHelper will sort them not by receiving time but by the distance. I.e. first of all, the arrow will show you the closest quest. Leveling character, everyone faces with different NPCs. But how to differentiate friendly from hostile and neutral? How to understand the level of the character? Which types of NPCs there are? If the mob's HP bar is red it will attack you as soon as you come closer. If it's yellow - the mob is neutral and it will attack only if you attack it first. The allies' hp bar is usually green. Having reached 15 lvl, every player gets access to «Dungeon Finder». Having pressed a special button in the micromenu and chosen a role in the opened window you may join a queue for a random available dungeon. 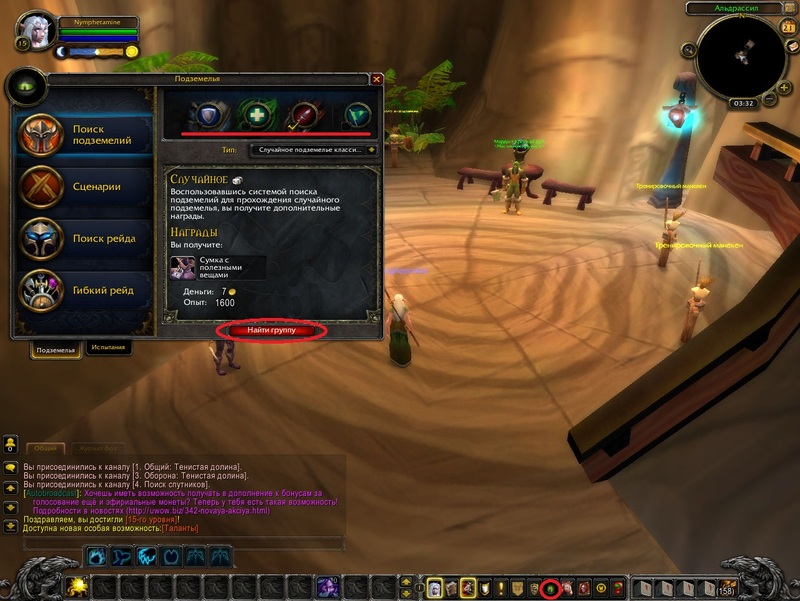 This is a good way to receive some experience and get useful gear which is impossible to receive from mobs of usual locations. During leveling you will get access to new dungeons, passing of which not only will give you experience and gear, but also diversify game process by alternating completing of the quests with passing the dungeons. Every faction has 4 big cities which are ruled by the heads of its races. However, the capitals of the Horde and the Alliance are Orgrimmar and Stormwind respectively. In these two cities the most of players are usually concentrated at any time of day. In capitals, it’s much easier to find someone who can help you, give advice or tips. Also, capitals are key points of transportation between the continents. The Horde representatives use Zeppelins and the Alliance representatives use ships. Except for cities and capitals, there are 2 cities-sanctuaries where both factions’ representatives may coexist. PvP mode is forbidden here. It’s worth noting especially that in the big cities there is always auction where you may buy necessary items and sell unnecessary for you. There is also neutral auction where you can buy items of the other faction’s players. Such auctions are available in Pirate Bay (Stranglethorn), Everlook (Winterspring) and Gadgetzan (Tanaris). To sum up, I would like to note that this article is just a set of general information and tips. You may, or rather, must check data bases for more information, for example http://www.wowhead.com/. However, perhaps our pieces of adice will help newbies to learn the basics of the bright and wonderful game world of World of Warcraft.